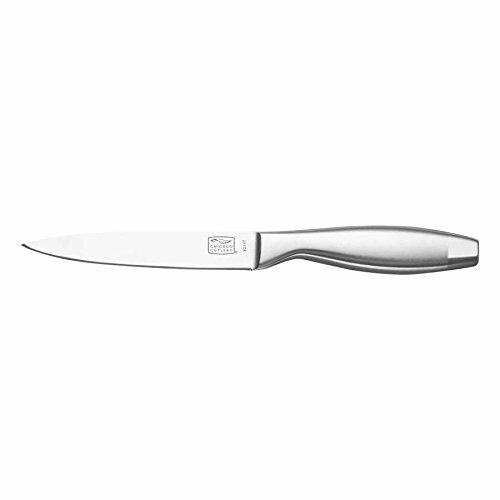 Chicago Cutlery Uptown features a modern, steam-lined design with a Stainless Steel handle. The high-carbon Stainless Steel blades are precision sharpened for excellent performance from the very first cut. Uptown is available in many different knife types and can also be purchased in a versatile dual block set. Additionally, Chicago Cutlery stands behind the Uptown set by offering a limited lifetime warranty.